Ondesonk Waterproof Pouch prevents your phone, ID, credit cards, cash, MP3 player, and keys from water/ snow/dirt damage, perfect for Swimming, Surfing, Fishing, Boating, Rafting, Diving, Skiing, Sailing, Kayaking, Snorkeling, and Water Park Activities. This case provides waterproof protection during some of life’s most enjoyable events. Never miss another call, text or multi-media moment. 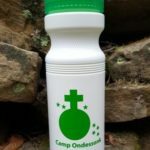 The Ondessonk Waterproof pouch has endless possibilities of protective capabilities and usages. It sports a unique dual locking plastic clip at the top along with the added protection of a zip-lock type seal on the bag itself. Also, there is a neck strap included freeing up your hands when the device is not in use. Not only does it provide storage for your device, but it can also store credit cards, ID, money, a key fob while you are enjoying your favorite wet or dark adventures. This waterproof pouch is a must-have bag for the outdoor enthusiast. 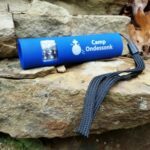 The Ondessonk Waterproof Pouch is even handy on hikes, biking, and camping trips. The possibility is endless.